Whether you're just starting out or you have a degree in another subject, we have the right courses to get you into nursing. The apprenticeship is an alternative route to gaining a nursing degree. What makes it an apprenticeship is the regular monitoring by the university, employer and apprentice about their progress and performance. 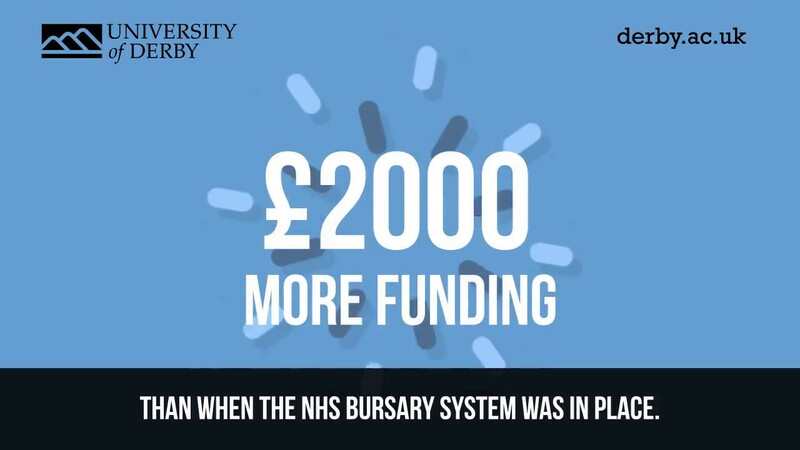 The entry requirements are exactly the same as a nursing degree at Derby – 112 UCAS tariff points plus Five GCSEs at Grade C or above, including Maths, English and Science. The apprenticeship can be studied full-time (3 years) or part-time (likely to be 4 years). There are currently no cost to the apprentice for course fees. You must be employed for the duration of your apprenticeship and will be paid as part of the apprenticeship, funded by the new apprenticeship levy however the amount of salary per year has not been agreed. You will still need to undertake all of the normal placements as expected on the Nursing degree and will therefore spend time away from your host environment. If completing the apprenticeship part time, you will also spend time in a Heal Care Assistant role. For those of you who do not currently hold a degree you can qualify as a practicing nurse by completing one of our pre-qualification courses below. Each course has specific pathways that will provide you with the relevant skills required to practice as a nurse upon graduation. Each course carries its own entry requirements and which can be viewed by selecting the course content pages listed below. From here you can also learn about which course is right for you. These pre-registration courses support those with a prior degree (2:2 or above) to become a registered nurse at an accelerated pace. Both courses are full-time for two years. Experience of education or study within the last five years is preferred. If English is not your first language you must have achieved at least level 7 in all four components of IELTS (listening, reading, writing and speaking). If you're already a registered nurse, we have a range of post-registration, CPD and LBR courses to help keep your practice up-to-date. These courses are for those who are currently registered as a nurse and have been designed to support long-term career aspirations, providing you with the skills to be a strong contender within a competitive industry. All of our courses offer stimulating and rewarding study that can be incorporated into your workplace practice. Our Continuing Professional Development and Learning Beyond Registration courses and modules work to further develop the skills and knowledge of those already qualified to work in health and social care. We have CPD and LBR modules at undergraduate and postgraduate levels (levels 6 and 7), which have all been tailored to meet the needs of practitioners and managers working within the health and social care sectors. We have modules to suit nurses, occupational therapists, hand therapists, radiographers, psychotherapists, and those working within complementary therapies. If you're already qualified to bachelors degree level, you can select from our Level 7 masters modules.